The Ritz-Carlton Residences at MahaNakhon by Pace Development Corporation Public Co., Ltd. The Ritz-Carlton Residences are envisioned as individually sculpted, highly customized, graceful private homes. These properties provide residents with the convenience of living in a home in the sky, combined with the services and facilities of one of the world's finest hotels. Residents will enjoy spectacular views, with bespoke interiors built to the highest specifications. Residences include unique features such as projecting glass skyboxes with sweeping views, generous indoor/outdoor spaces and oversized terraces uncommon to high-rise living in global capitals but well-suited to the tropical climate of Bangkok. The Ritz-Carlton Residences in Bangkok will be located at a luxury mixed use skyscraper called MahaNakhon situated in the business district in Silom/Sathorn area. The completion date of the mixed use building is scheduled for 2017 with a total of 77 floors, when completed the building will house a hotel, luxury retail stores and residential units called The Ritz-Carlton Residences Bangkok which will come to a total of 200 luxurious condominiums in various sizes and different layouts. Residential condos will be managed by Ritz-Carlton Hotel company offering services like 24 hour concierge, 24 hour valet parking, doormen and porters, in home dining and spa services, house keeping, pet services,laundry and many more. Sizes of the condos range from 2 to 5 bedroom condos both simplex and duplex layouts. Facilities of the condo will include outdoor swimming pool, sun deck with a Cabana area, fully equipped modern fitness center, yoga and pilates room and residential club lounge and bar on the 54th floor offering stunning views of Bangkok available to all residents and their guests. 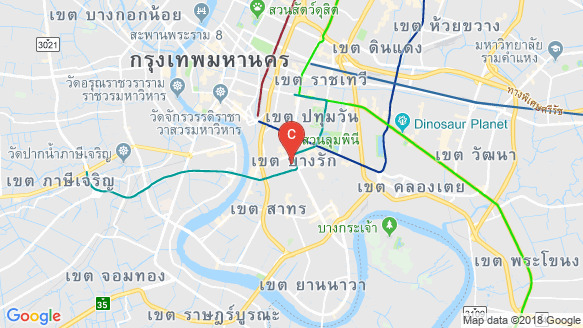 Full postal address of the condominium is MahaNakhon, 92 soi Narathiwas Ratchanakharin Road, Silom, Bangkok 10500,Thailand.